Looking for a job has changed a lot in recent years, in part because of the changes in technology. There was a time when people with computer skills were in the minority, but now it seems like significant computer skills are needed for almost any job, from those in the auto industry to those in the medical industry. By taking the time to read a career blog or two, you will see what skills you need to update to make yourself more marketable in today’s marketplace. What Can You Learn From a Career Blog? Perhaps the most striking thing that you will learn from reading a career blog is that your personal life is now pretty much public knowledge. What this means is that every time you apply for a job you have a 70% chance that the potential employer will look for your name or email address online and see what you do in your spare time. So, if you like to post smart aleck remarks on blogs or you have some strange habits or affiliations, you should make sure that they are cleared off the internet before you start searching for a job. If you can, you should use one email address that is only used for job searching, and that will help make it harder for potential employers to find out about you. 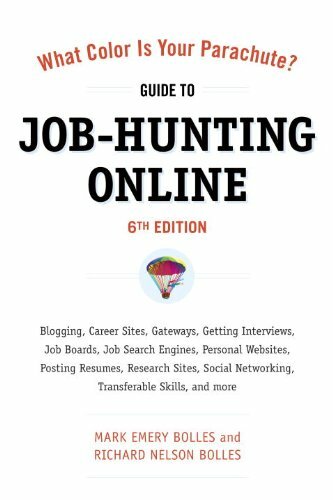 When it comes to finding a career blog that will help you to find a job, you will see that there are actually quite a few of them out there, depending on what industry you want to work in. Many of these blogs are written by people who really have a passion for their job or who are leaders in their field. You may even come across some blogs that are written by recruiters. Should You Sign Up With a Recruiter? One of the things that you will learn from a career blog is that although a recruiter may be able to help you find a job, their real benefit to you is perfecting your resume. They will be able to show you the right way to write your resume so that potential employers find you attractive. Unfortunately, recent studies show that across most career paths, only about one in 20 people actually find a job through a recruiting company. What If You Still Can’t Find a Job? The truth is that reading other peoples’ blogs isn’t the only way to get a job these days. In fact, if you consider yourself something of an expert in your field, now is a great time to start your own blog. You can write about what interests you in your field, how you got started, and why you like it. When you write with enthusiasm, you will soon see that other people sign up to get regular updates of your writing, and you never know if one of those people might be someone who knows someone who has a job opening for you! Jenna Pearson is a personal branding expert and a contributing writer to Career Rocketeer, a very comprehensive career blog for career entrepreneurs. Save time and money by getting FREE in-depth information on personal branding, as well as insightful tips and tricks on turbo-boosting your career, at this website: www.careerrocketeer.com.